Myanmar and Yangon is all about Buddhism and temples, especially famous for Shwedagon Pagoda which is probably the most amazing temple in the world. However there are lot of smaller temples as well which can be more authentic due to their down to earth appearance. 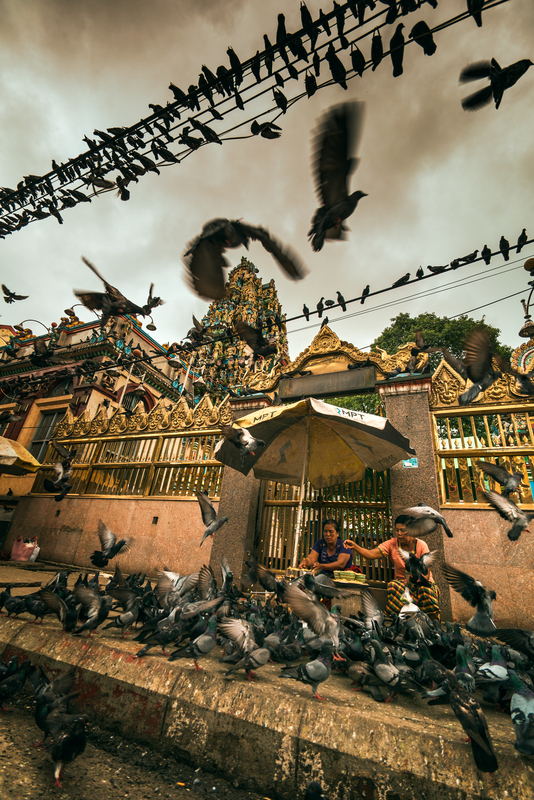 This one is one of the few Hindu temples in the city where they apparently feed the pigeons. There were literally hundreds of them hording for food. I only had 15mm lens with me so I had to really push into middle of action to catch this. Luckily it’s not the bird flu season. Tip: When the photos you take don’t have the impact you are looking for – go closer. It almost always helps.